live closer to his brother. Their plans were to build a house only a few feet south of the existing main house owned by Baltzer. This smaller, second house was to be finished before August 1850 for both Peter and Anna, and they would be given free passage through Baltzer’s property to reach their house. The house was to be built of stone, exactly like the Sarah Pearson house Anna had seen. Cost to build the house was $500. Peter and Anna were to be able to move in by April 1, 1850; if the house wasn’t completed by that date, Baltzer was to provide two convenient rooms in his own house until the new house was finished. Peter Stever died in 1854, leaving Anna to live in the house until her death. Anna was the first to live in the house as a widow, (others would follow) giving the Widow’s House its name. This meant that the Widow’s House was to remain as part and parcel of the original property. The Main House reveals possible use of the second floor rooms being used as “an apartment” by the fact that the door nearer the front of the house has no door knob and is only accessible from the inside. These two rooms are on the south side of the house overlooking the Widow’s House, similar to what Baltzer mentions in his will. Baltzer’s wife, Maria, received exclusive use of the pre-existing Widow’s House, formerly occupied by Anna Stever, Baltzer’s sister-in-law. 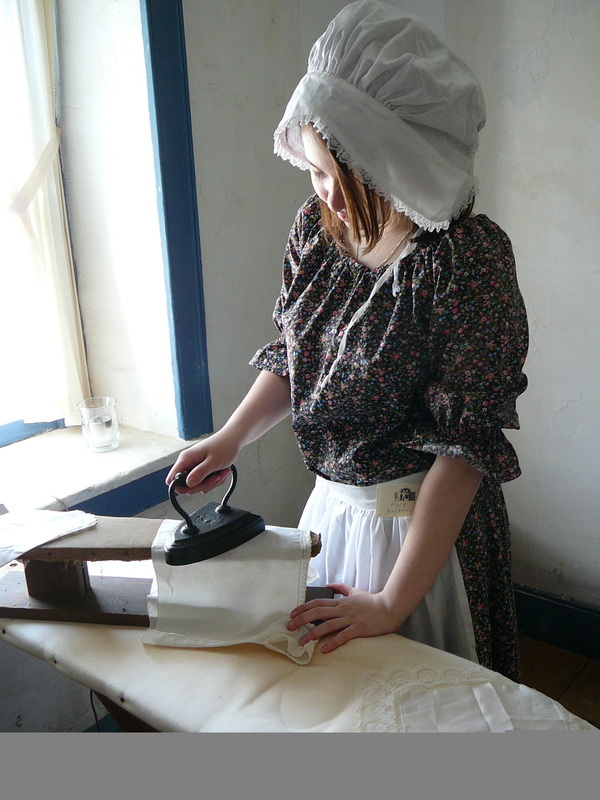 Maria also had the option of occupying the south half of the main House as well. Henry Stever, Baltzer’s only son, was given the choice of the sawmill property or the farm. Choosing the latter, Henry officially acquired the farm property on March 27, 1863 which included all of the land on the south side of Friedensville Road (103 acres). This land encompassed the Main House, the barns and outbuildings, except the Widow’s House, which was reservewd for Maria; the selling price was $12,875. One-third of the selling price was to remain in the property for Maria’s use, and the interest was to be paid to her annually. Maria released her dower or her rights to the property (the Widow’s House) on February 2, 1866, for $4,806.06. Henry may have bought the sawmill property back in 1871 from Joseph Landis, only to sell it in 1873 to the Saucon Iron Company.Henry could have used the proceeds of the sale to build a new sawmill on the south side of Friedensville Road on his farm property in front of the Main House.